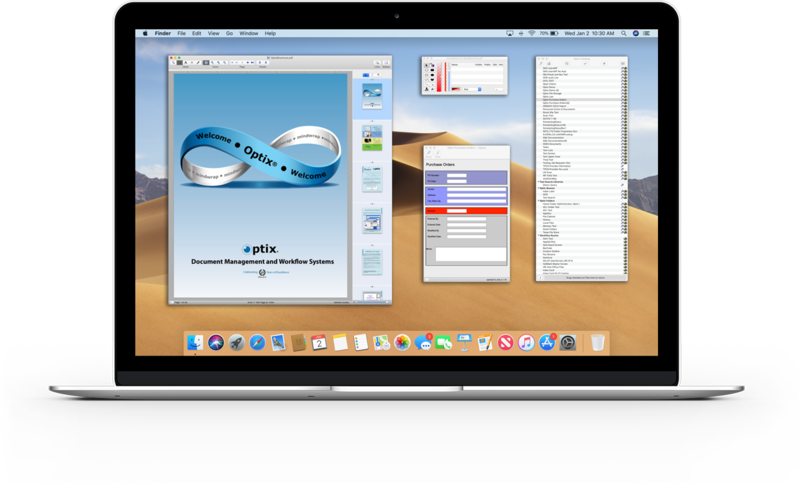 Optix is a powerful yet simple to use workflow and document management solution with modern features designed to optimize business processes. Whether automating an existing workflow, implementing a best practice, or solving a new document workflow challenge, Optix flexibility gets your solution team up and running in-place quickly. Considering a move to paperless? We have you covered. Paper carries security risks and with its many hidden costs is expensive to manage, store and often difficult to reference. In the event of fire or flood, the loss of paper documents can force a business to cease operations. Processing paper creates delays in closing contracts, reconciling payments, and managing HR functions. Reducing reliance on paper can improve organizational throughput by as much as 70%. Employees who perform paper-intensive tasks spend less time producing revenue and more time entering, checking, routing, and archiving documents. By capturing documents and automating workflows, work can be routed by pre-defined rules and logic that ensure that work is processed efficiently by the right person at the right time. Optix workflow solution works across departments and functions contributing to increased profits. Regulatory requirements are part of doing business today. Your ability to respond to audits and demonstrate compliance depends on how well your assets are organized and how easy they are to access. With the features in Optix document repository, searching for and finding the right documents on-demand is easy. No more boxes of files, offsite repositories or delays in responding to auditors. Create new applications in hours rather than weeks allowing you to transform your business into an almost paperless enterprise with associated cost savings and process improvements. Identify search terms used to index your documents and make business decisions. Rapidly customize your search screen to store and retrieve your documents. 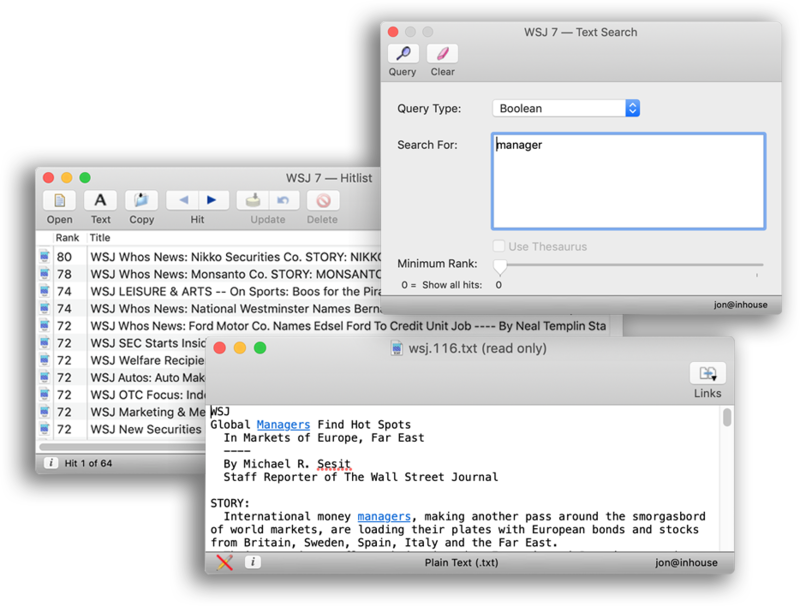 Automatically capture search terms from your documents and pull data from other systems to save keystrokes. documents, incorporating your business rules. Deploy in a single click, including storage and security. Complicated workflow? No problem. Our workflow optimization experts can help you analyze the situation and provide the support you need to put the right process in place to get things under control. Optix is comprised of a series of functions that together create one of the industries most powerful and scalable end-to-end electronic information management solutions. including PDF forms, Microsoft Word forms, email, and XMP. High-speed, native scanning on Macintosh and Windows, fully integrated, and never a per-page scanning fee. 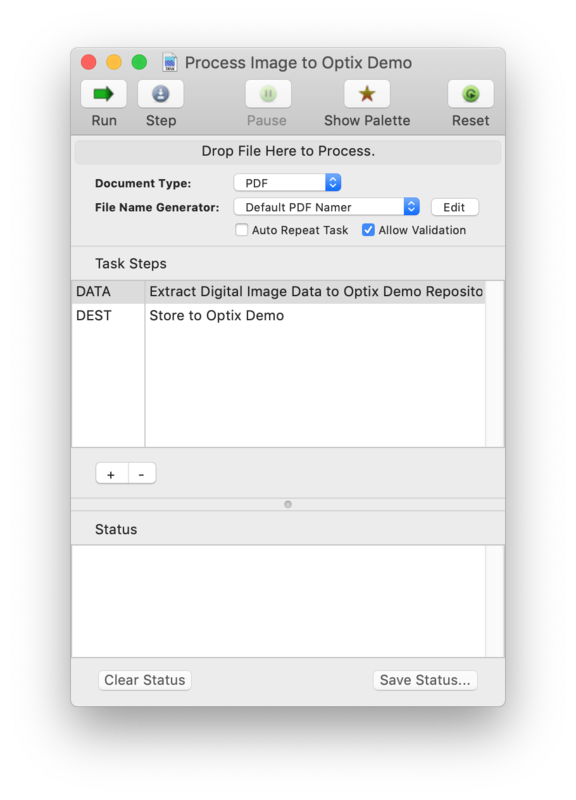 Use OCR to extract fielded information from scanned images. Built-in automated tools to detect blank pages, auto size, and deskew. 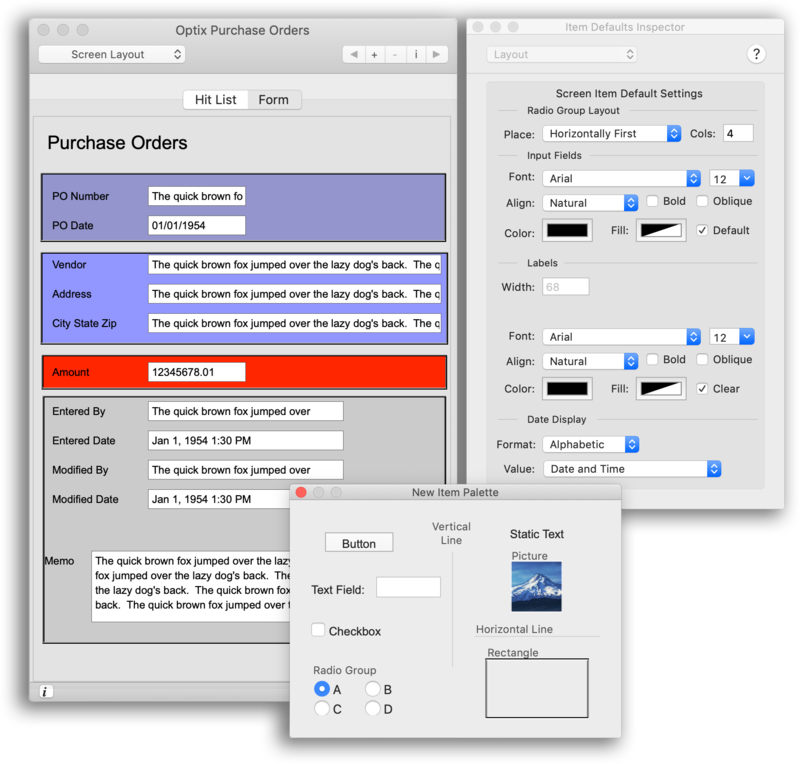 Optional OCR Pro and Forms module to automatically recognize different forms and extract information. Harness your database and document index metadata to precisely locate your needed documents in seconds. Store popular desktop files including Microsoft Office files. Automatic revision control captures each document revision with full audit trail. Optix ensures revision integrity by allowing only one user to revise a document at any given point in time; other users get a read-only of the file. Multiple levels of security provide control over access to documents and what can be done with them. 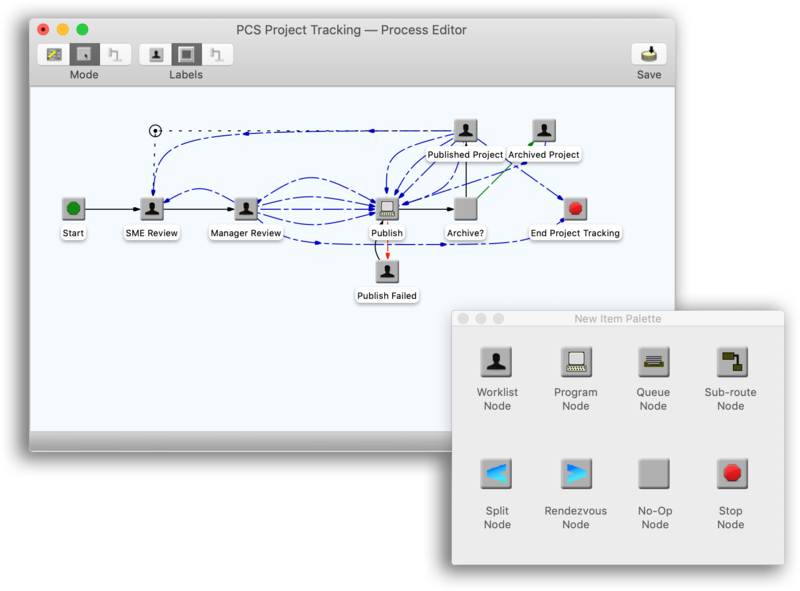 Our drag-and-drop process editor allows you to automate repeatable business processes in minutes. Automatically distribute work across your teams. business rules including approval and review. Calendaring allows you to define how long each task should take and notification/escalation rules for past due work. Supports parallel routing and rendezvous to allow work to be performed in parallel. Sophisticated delegation model allows you to proxy or review work product supporting collaboration and ad-hoc transfer of work. Browser-based access to the Optix repository using the same index forms used by Macintosh and Windows clients; no coding required. Zero footprint deployment throughout your organization. other web applications via URL. devices such as tablets and smartphones. Selectively make available documents based on repository segment, metadata, and/or authentication. Customized to your index metadata using web browser to set up query interfaces.